These 2 beautiful paintings were painted in late 2017 over 3 days in our home studio located in Canggu, Bali Indonesia. Bradley and Elliott created the paintings together over a few days while Elliott was visiting Bali on vacation with his wife and kids. In between drinking coconuts, surfing and laxing in the pool, the pieces were developed in an organic way using a masking process, where the entire design was constructed with masking tape on the primed white canvas, then once all the masking was complete, the aerosol colours were applied with precision. 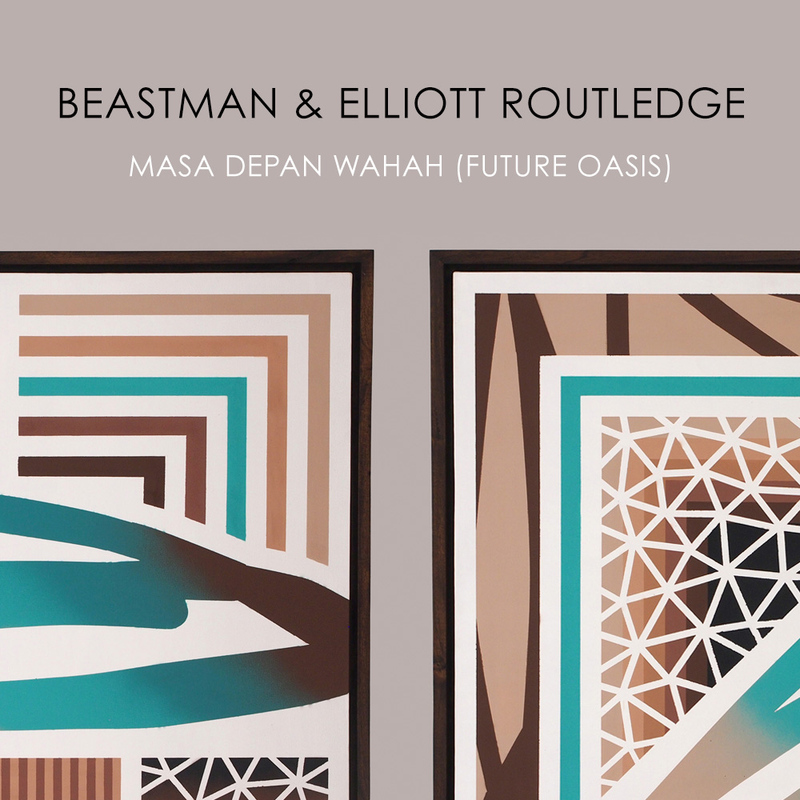 'Masa Depan Wahah' (Future Oasis) 1 & 2 are a continuation of both artists ongoing and progressive body of works. Beastman exploring the future of nature and the human intervention with natural environments, whilst Elliott furthering his fascination that there is an ideal oasis, a place filled with treasures which make up who we are. Please Contact Us if you are interested in owning one of these unique collaboration paintings.